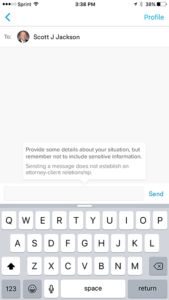 What Should Attorneys Think About The New Avvo Instant Messaging Feature? Avvo is a well-known online attorney directory service, and most attorneys today treat Avvo as a digital marketing tool – generating leads from those prospective clients who visit the Avvo properties, and using Avvo’s scoring system as a third-party trust signal on their law firm websites. Like most online attorney directories, prospective clients use Avvo’s technology to source an attorney, and then they would use traditional contact methods (phone, email, or physical visit) to actually connect with the attorney. At least, that’s how things used to work on Avvo, until today. Various studies have shown a temporal component to closing sales leads, meaning you need to jump on leads while they are hot or someone else will. 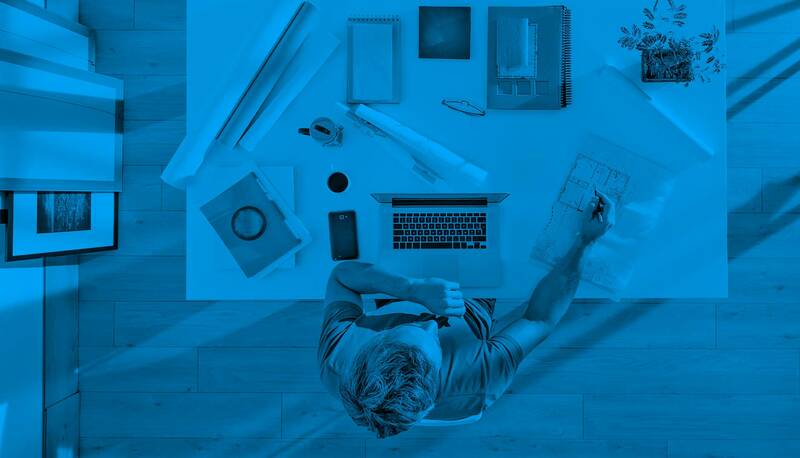 For their part, Avvo claims 59% of legal consumers include attorney responsiveness in their decision funnels. And, I’ve seen attorneys lose leads exactly this way: Lead emails the attorney, and the attorney responds 4 hours later, but by then the lead had already emailed a competitor who replied immediately (and the lead hired the competitor). Plus, messaging and chat tools can lower the intimidation barrier between prospective clients and attorneys. Making the decision to call or email an attorney requires some level of courage, and the formality involved can end up stifling conversions. Messaging and chat tools are more informal in nature, and can help improve conversion rates. No, but it does require an active Avvo attorney profile. Legal consumers cannot use Avvo instant messaging with an attorney whose profile remains unclaimed. Of course, if you want legal consumers to find you on Avvo – and feel comfortable enough to “instant message” you – simply claiming your profile isn’t likely to be enough. You need to provide enough details in your Avvo profile to build trust, and then you need that profile to be seen. Since the folks at Avvo weren’t born yesterday, here’s guessing that they know better placement and visibility is valuable – and is thus reserved for their paying customers. So, while it won’t cost you money to use the Avvo instant messaging feature per se, getting prospective clients to actually find your Avvo profile should (and probably will) cost you money. Why Do You Keep Saying “Instant Messaging” In Quotes? Avvo’s “instant messaging” feature has earned the quotes because, well, it isn’t yet true instant messaging (like we’re used to in the SMS, iMessage, or WhatsApp sense). At this time, it’s more like half an instant messenger. Instant messaging carries a mobile connotation, and at least for legal consumers that is exactly how Avvo’s instant messaging works: Legal consumers can initiate a chat with their selected attorney inside Avvo’s mobile apps, and the apps use push notifications to notify consumers of the attorney’s responses in real-time. But, the Avvo instant messaging feature does not work the same way for attorneys. Instead, attorneys must login to Avvo’s dashboard (either on their mobile devices or on their desktops) to respond. Attorneys will get an immediate email whenever a prospective client “instant messages” them (containing a link to login and respond), and they can see incoming messages in real-time if they are logged into Avvo’s dashboard – but there is no mobile app functionality for attorneys, and no push notifications for attorneys. Attorneys will receive an email when they are sent an “instant message”, but must login to their Avvo dashboard to respond. 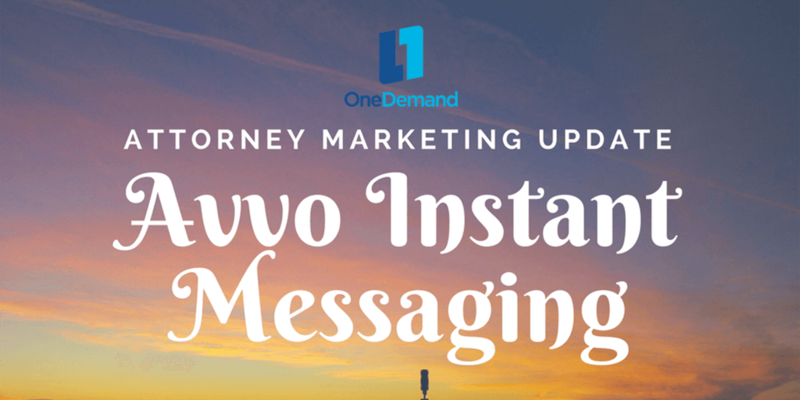 So, Should Attorneys Use The New Avvo Instant Messaging Feature? Trick question, actually. If you’re already using Avvo as one of your lead generation sources, you’ll be using Avvo instant messaging by default. The only difference is that you’ll now also get emails from Avvo whenever a lead elects to send you an “instant message”, in addition to any client leads who otherwise choose to contact you directly. And, that’s probably a good thing for attorneys. Since messaging can lower the intimidation barrier on conversion, I’d expect at least some of the legal consumers who use Avvo’s “instant messenger” will be net-new leads – e.g. leads who might otherwise have not converted through traditional contact channels. So, there’s still a lot for attorneys to like here. While I’d like to see Avvo add the ability for attorneys to use the mobile app for both responses and push notifications (which I’d argue will require the ability to send a transcript of the chat to the attorney for ethical purposes), the new Avvo instant messaging feature is nonetheless a clear step in the right direction. Having seen what the internet and legal tech did for my own practice, I’m a big believer that attorneys must embrace and leverage web and tech solutions, rather than ignoring them. The new Avvo instant messaging feature continues the growing evolution of “new law”, and it will be interesting to see if Avvo chooses to get seriously disruptive and add in the missing mobile functionality for attorney users. Also, always keep your lawyer ethics in mind. Stay familiar with the rules in your jurisdiction surrounding the attorney/client privilege, attorney advertising, duty of attorney confidentiality, competency, and others – ethics rules don’t give a free pass to chat or messaging just because they are more informal in nature. If it applies to snail mail or emails, it likely applies the same in live chat or instant messaging, too. Of course, if you’ve got questions about how Avvo can fit into your larger law firm internet marketing goals, we’re just a click or call away. You can even chat with us most days right here on our website! My brother suggested I might like this website. He was totally right; made my day. You can not imagine just how much time I had spent looking for this info!